Pool safety is always of the utmost importance. 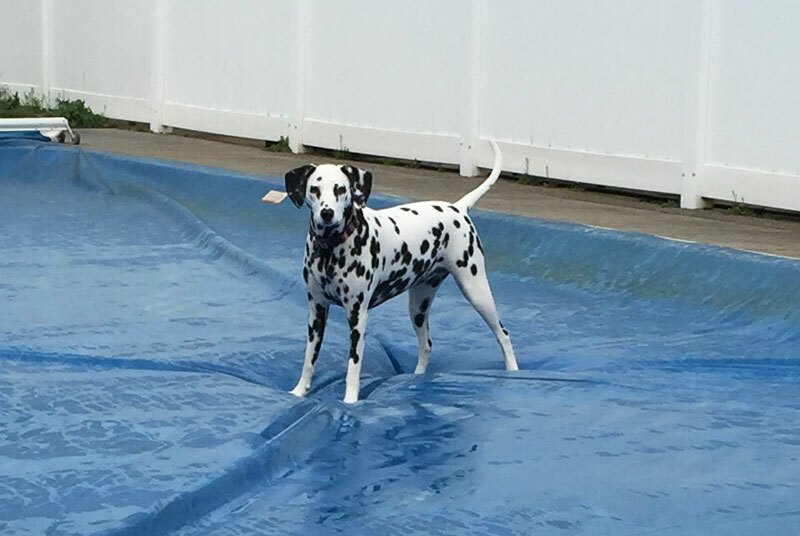 Whether your babies are of the two legged variety or a four legged friend, you can not watch out for them around the pool every second of the day. As a safety device, our pool cover acts as a horizontal fence, completely sealing off the pool and preventing accidental access by children, pets, and uninvited visitors. And while there’s no substitute for proper supervision, the pool can be protected even when there’s no one around. It’s the ultimate safety barrier that no pool should be without and with the turn of a key your ready to swim. A Cover-Pools automatic safety cover is convenient for everyday use. Whenever the pool is not in use, it can be covered to keep it safe and clean. The cover keeps debris out of the pool, reducing cleaning and maintenance costs and wear on pool filtration systems. This means you can spend more time enjoying your pool and less time working on it. Our trained staff will take the time to understand what type of project you have in mind and make recommendations that fit your budget. Feel confident knowing we understand every detail about pools and spas from experience in the industry since 1964.